Some say the days when railroads were king are only a distant memory. However, for the ten thousand people who annually ride the St. Louis Iron Mountain & Southern Railway, those days are very much a recent memory. Hailing from Cape Girardeau County in the small town of Jackson, the historic diesel locomotive Number 5898 ambles through a short stretch of southeastern Missouri countryside. Along the route, neighbors gather and bring their children to wave at the train. And if they’re lucky, the engineer will blow his whistle as a friendly greeting. This year marks the twenty-ninth season of the railroad’s tourist operations in Jackson. During the past two decades, the locomotive has become a well-known attraction to train enthusiasts, vacationers, and local residents. 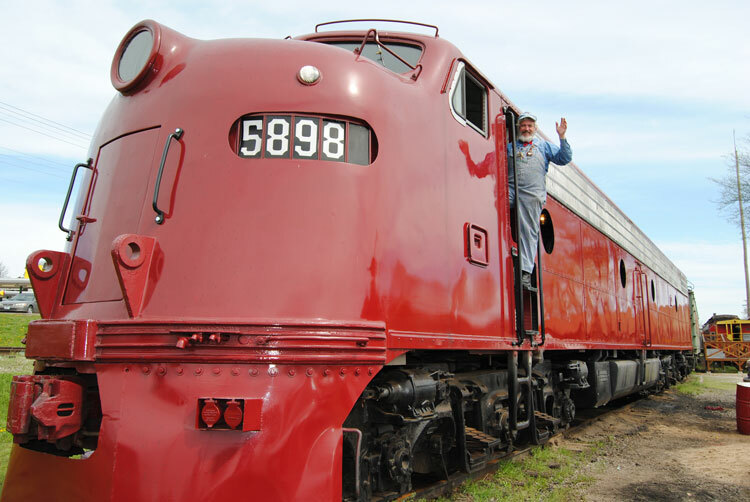 Across the country, railroad buffs are discovering vintage trains that offer short rides, and these excursion trains are a growing source of tourism. According to TouristRailways.com, 304 tourist trains still run in North America. But the fact that the Iron Mountain Railway is staffed entirely by volunteers sets this hospitable, old-fashioned locomotive experience apart. Carolyn Tomlin is a Jackson, Tennessee-based author that has been writing and publishing since 1988. She has authored 19 books and more than 4,000 articles in magazines such as Entrepreneur, Kansas City Star, American Profile, Tennessee Home & Farm, Home Life, Mature Living, ParentLife and many others.